It is friday and time for a new die cut challenge at Stuck On U SKetches. 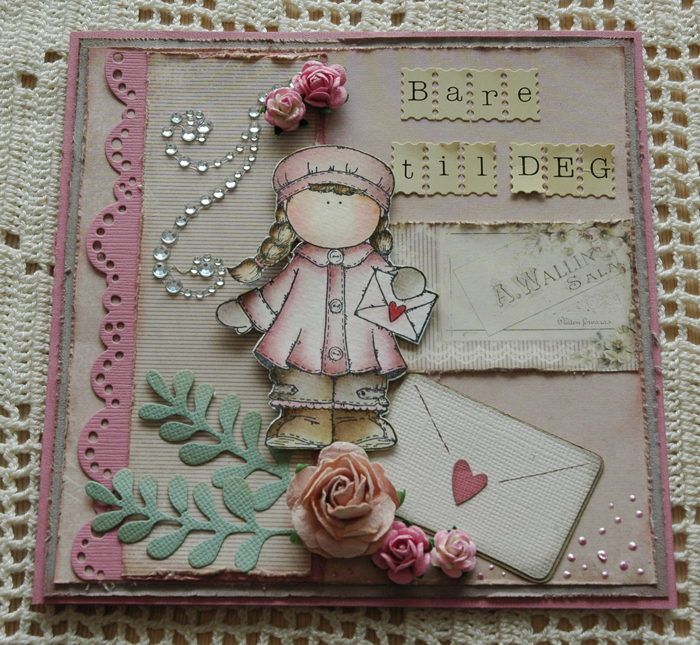 This is a card I have made for Mothers day (in Norway that is this coming sunday) for my grandmother. I have used the envelope with hear from the Doodlecharms cart. Patterned papers are all from the newest collection from Pion design. They are just gorgeous! 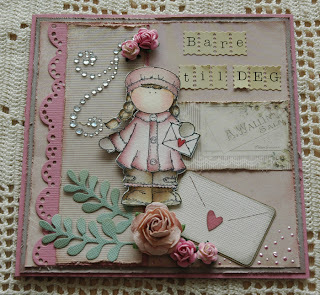 this is such a cute card Stine and love your stamping.. You're such a pro when it comes to coloring in your images..
Beautiful image, coloring and card. Very elegant. Oh I adore this Stine! So Pretty but I always Love your colored images, so Sweet! Stine, this is just precious!!!! Love the soft colors!!! Hugs! !